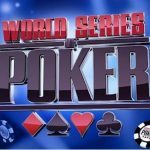 Robert “Skinny” Hankins is the new winner of prestigious World Series of poker circuit. He just won the main event of Horseshoe Southern Indiana championship and took home the first prize of amount $142,520 and a ring this is the second gold ring win of this series for Hankins, and sixth of his career. 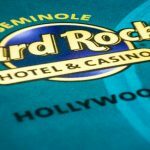 Hankins is a professional poker player from Nashville, Tennessee, who loves to play live poker tournament at big championship. That is why is doing this phenomenon work since last many years. 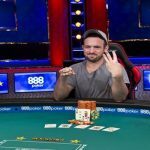 The win just not gives him the gold ring and the first prize, but will also take him to the prestigious 2017 WSOP Global Casino Championship. This is fourth consecutive year, since when he is qualified for the championship. After winning his sixth gold ring playing at World Series of poker circuits, Hankins was very happy. He said “this feels awesome”, and it’s gratifying because I got only 25 percent of volume that most players get. The 28 year old poker pro is a father of two children a son and a daughter and he has a part time job as well. Till date Hankins had participated six times at Horseshoe Southern Indiana main and was able to play four, out of which he won two gold rings. 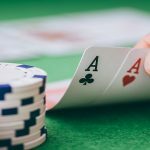 Being a poker lover, you would always looking to know latest poker updates of around the corner of the world and in that case you should check out real poker online for the same. 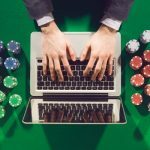 The site provides poker news and related stuffs to you from across the world poker festivals, championships either from WSOP, WPT or EPT or from any poker championship.